Our pets are the love of our lives, right? But sometimes things go a little wrong and deep cleaning is needed. When you need deep cleaning due to pet accidents, call SERVPRO of Reno East/Central Sparks. 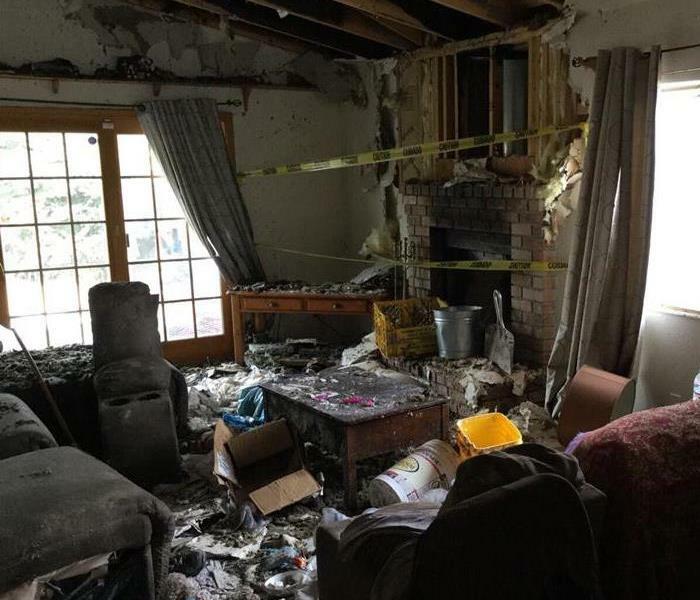 When you have experienced fire damage and water damage you want a professionally trained team that will partner with you and your insurance company. SERVPRO of Reno East/Central Sparks is your fire and water damage experts. Fire emergencies, water emergencies, they happen 24 hours a day. That's why SERVPRO of Reno East/Central Sparks is available 24 hours a day, 7 Days a Week. 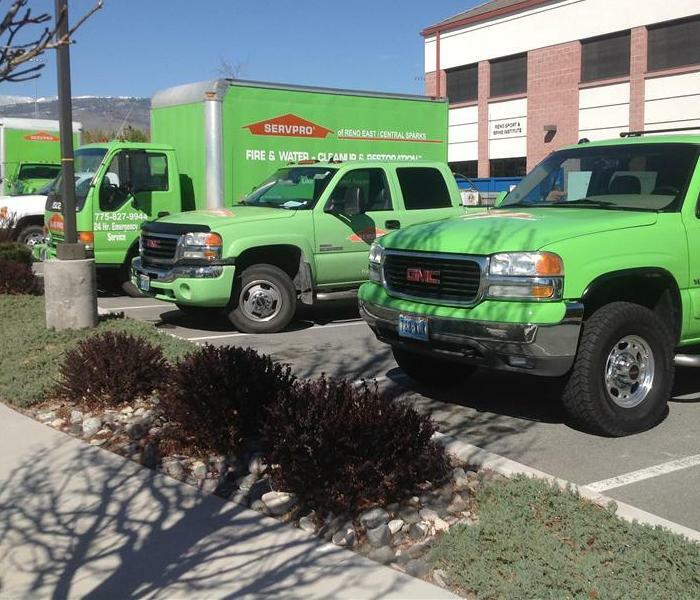 SERVPRO of Reno East/Central Sparks has a variety of vehicles specialized to service our Customers specific needs so we can get the job done ASAP, just like you want it! 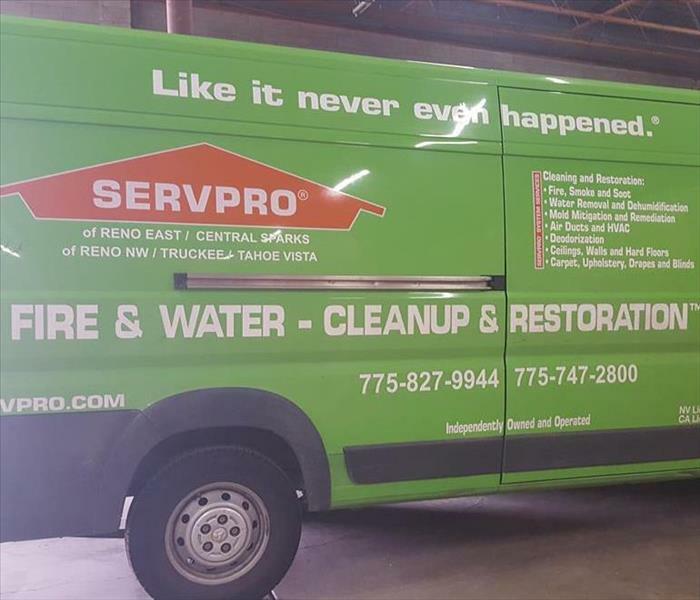 Did you know that SERVPRO of Reno/East/Central Sparks offers specialized cleaning for your fire, smoke and water salvageable items that need specialized cleaning. Meet our knowledgeable and courteous Crew Chiefs and Technicians all IIIRC trained professionals. 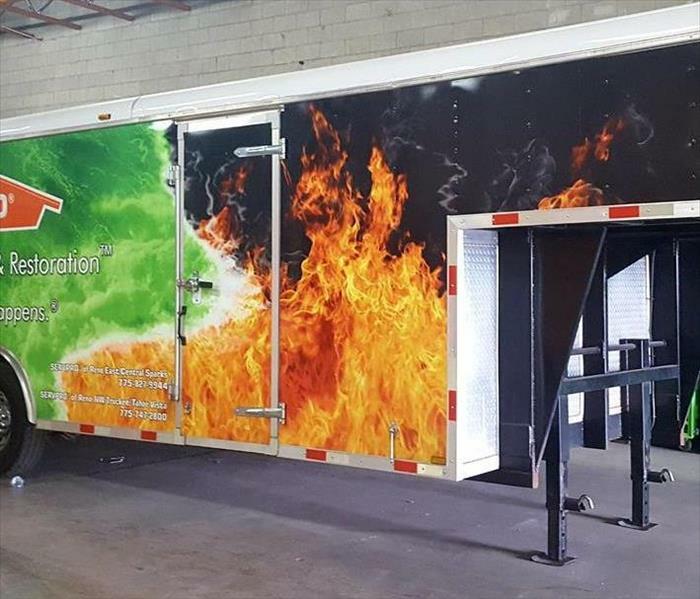 SERVPRO of Reno East/Central Sparks has large emergencies covered with this large Emergency Response Trailer and all of our other equipment. 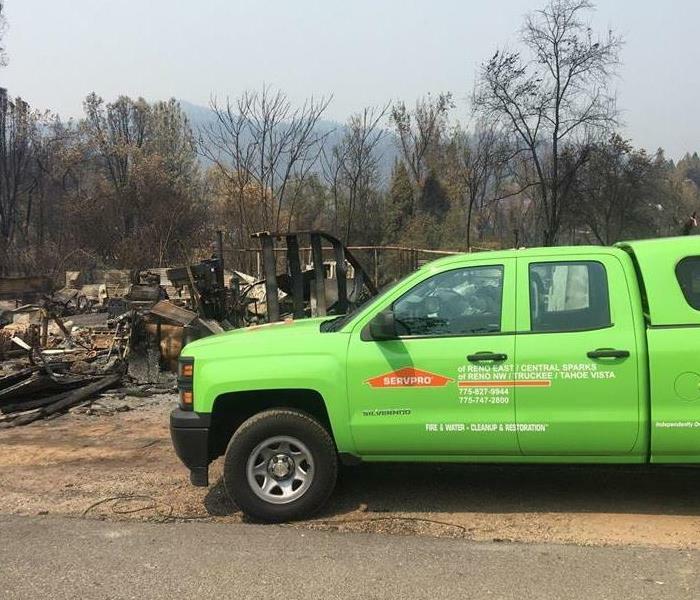 When wild fires strike, SERVPRO of Reno East/Central Sparks is available 24/7. Call us at 775 827-9944 and we will be on our way to help you through the process. We work with you and your insurance. Ever wonder what happens to your stuff when your home or office has fire, smoke or water damage? 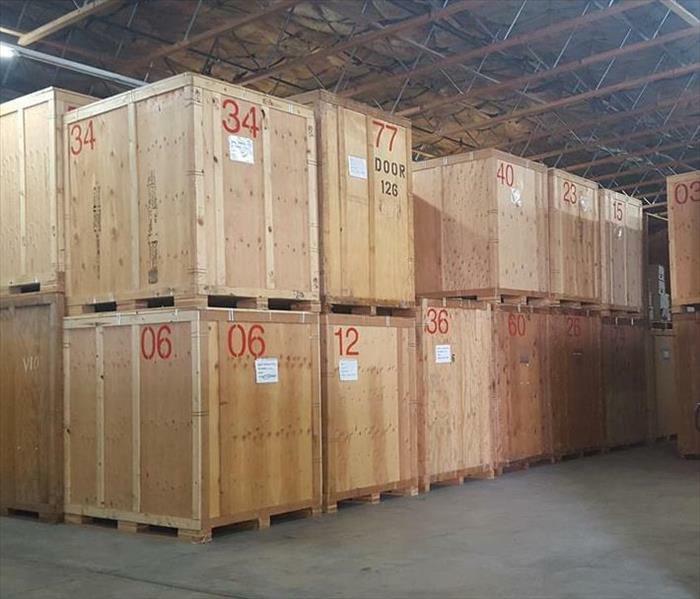 At SERVPRO of Reno East/Central Sparks part of our service is to store your salvageable items in secure vaults. 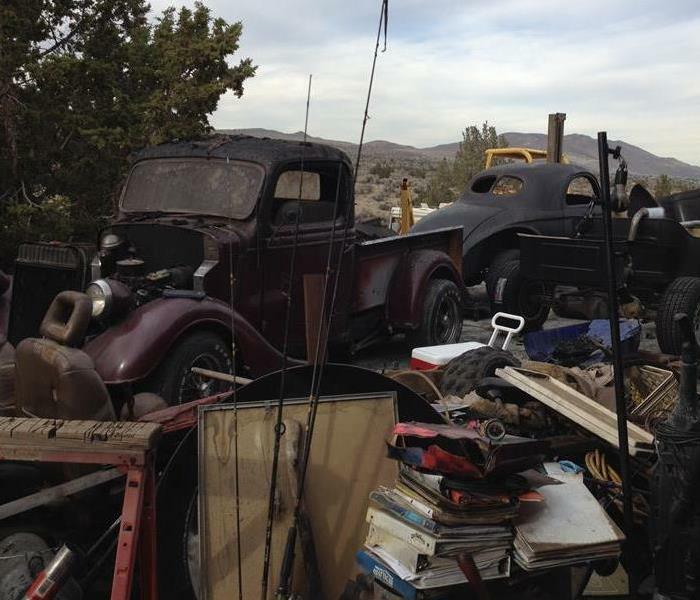 Our Content Manager works with you and your Insurance Company to make sure that every single item is captured. How ironic is it that when you're trying to clean something (clothes, dishes, your hands) that it can cause the biggest mess? This laundry room had a leak, and so, SERVPRO of Reno East / Central Sparks had a mold job to do! Keep up with us on Twitter and like us on our Facebook! The weather in these parts of Nevada is no joke! 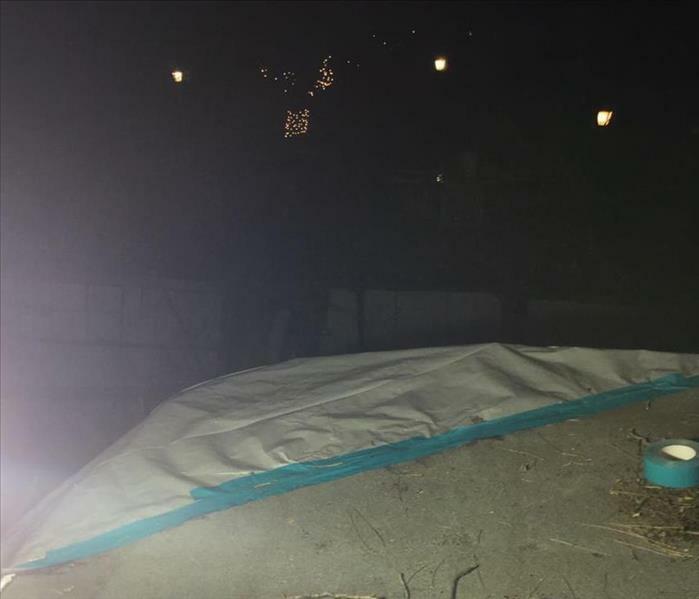 Here is a roof tarp that was necessary to prevent further flooding during storm season! This fire burned up the supports under the home as you can see. Luckily, the homeowners called SERVPRO of Reno East / Central Sparks to take a look! 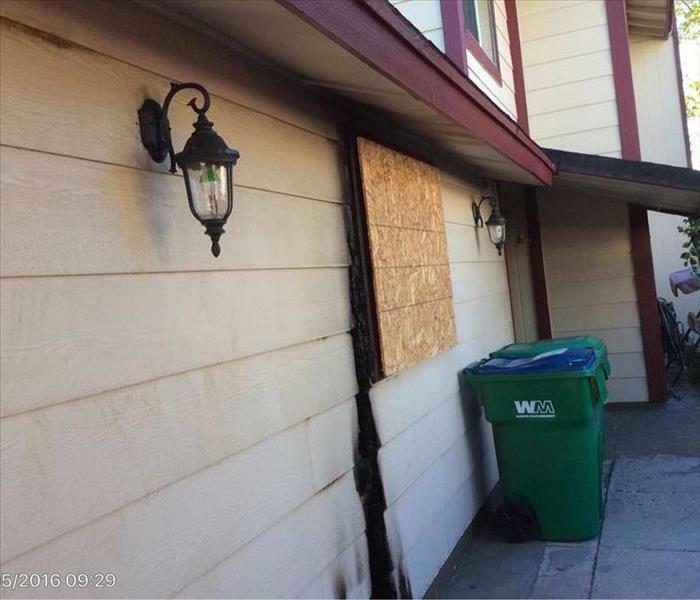 This picture is the result of a fire that started in one unit and spread to the others. Fire safety and proper storage of flammable items is essential--even when you're storing items away from your property! 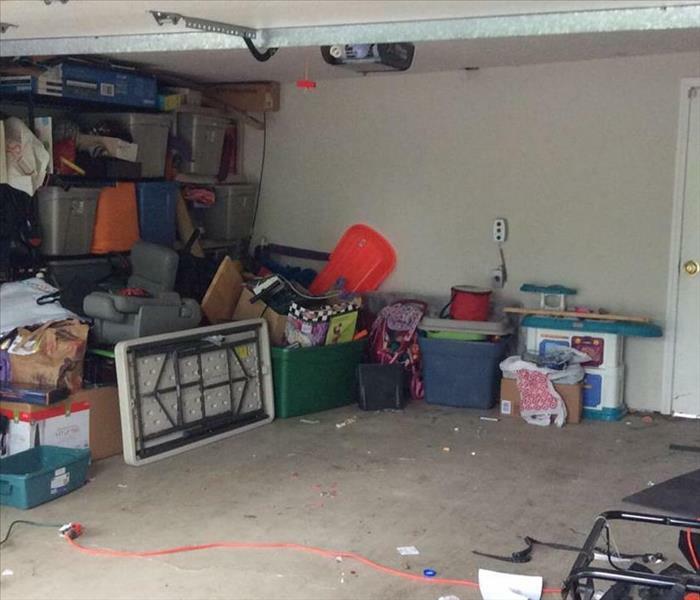 We all have that one space that looks a bit like a horder lives there, but when that space is where your new office is meant to be built, it's no match for SERVPRO's cleaning powers! 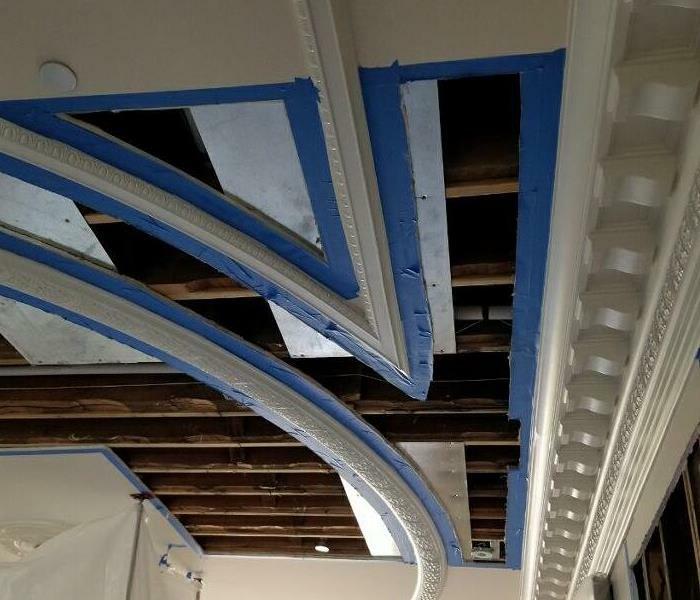 We responded to this commercial water damage job. Our air movers are there at the bottom, drying out the walls and baseboards at the counter on the right. Our team assembled and responded to this business' flooded retail space. The area was completely soaked, but SERVPRO 10274 came prepared with our full compliment of buckets, cleaning agents, and equipment. 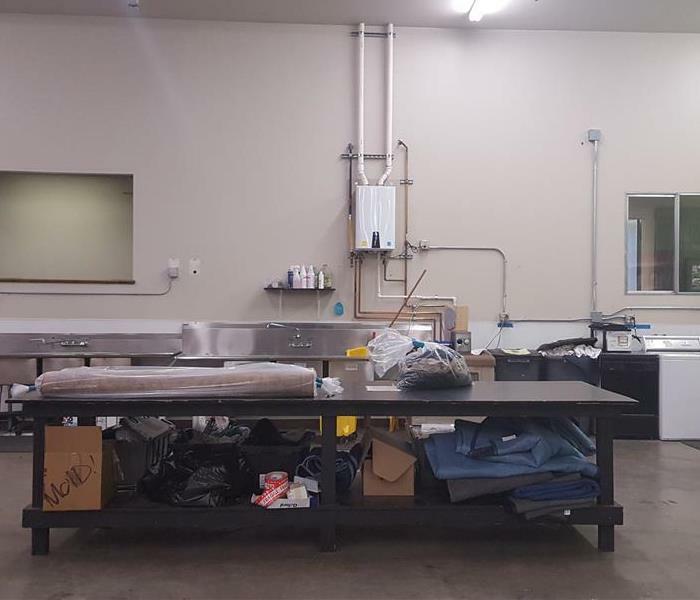 When this warehouse flooded, the team knew exactly what to do. You can see the air movers working to dry out the moist areas, and, if you look closely, you can see the plastic tarp in the doorway bowing outwards from the positive air pressure. This photo is from a storm we were called out to. Everything in this garage is damp and ran the risk of getting moldy. 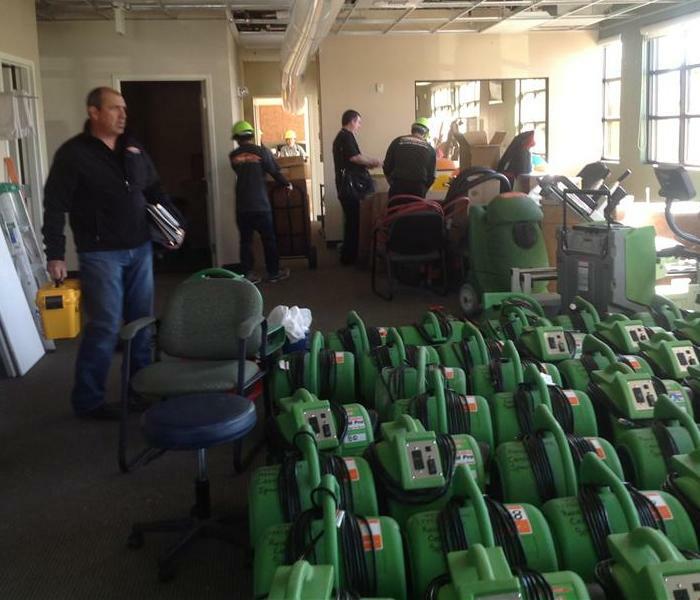 Luckily, the storms in San Francisco were no match for SERVPRO! The fire place was the cause of the damage, and much of what you see damaged here needed to be replaced. This home also needed flood and mold remediation due to the water used to put out the fire. Our Twitter is full of Do It Yourself project tips and tricks, and our Facebook is a great resource for all your local weather and damage hazards. Give us a follow and a like to stay up to date! 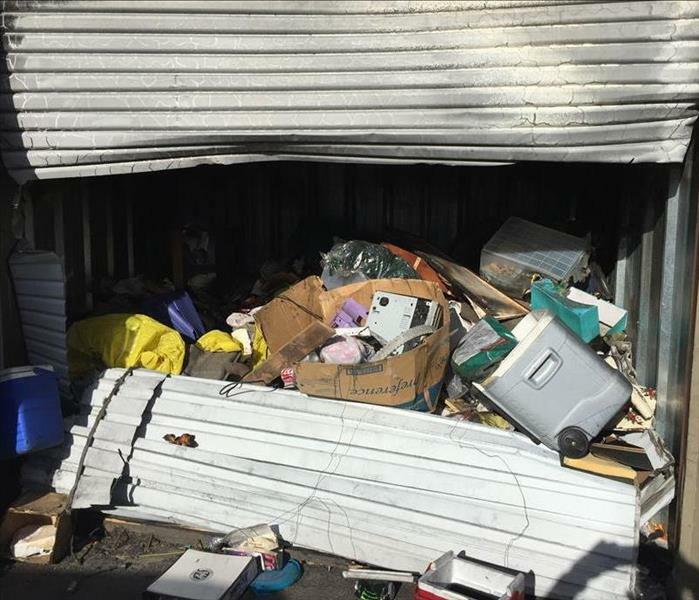 Animals were found in this Sparks municipal container after a storm. They were long gone, luckily, and the City of Sparks called SERVPRO to remove their droppings from an already water-soaked container. We made it "Like it never even happened"! It's not just for television! 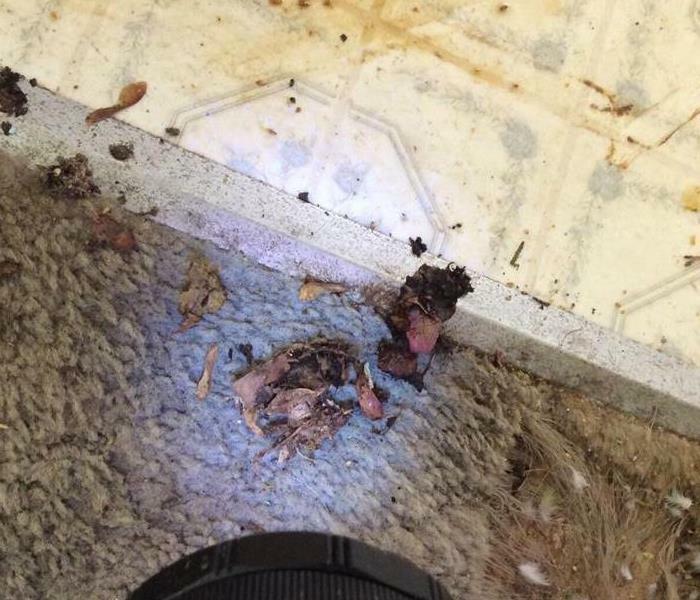 UV light inspections are an important part of making sure that after a water, mold, storm, or biohazard event, that your home or business gets properly cleaned. A fire crept its way along the hall, all the way up to this doorway. 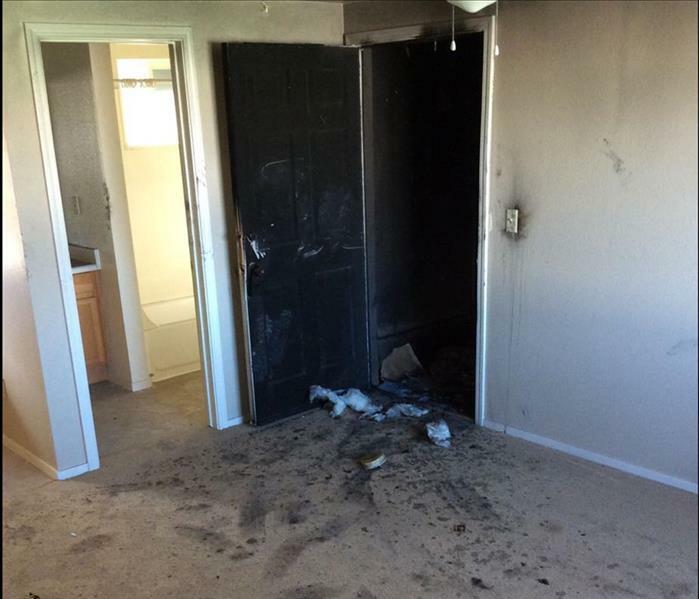 Luckily, after the fire was put out, SERVPRO was there to mitigate the damage. 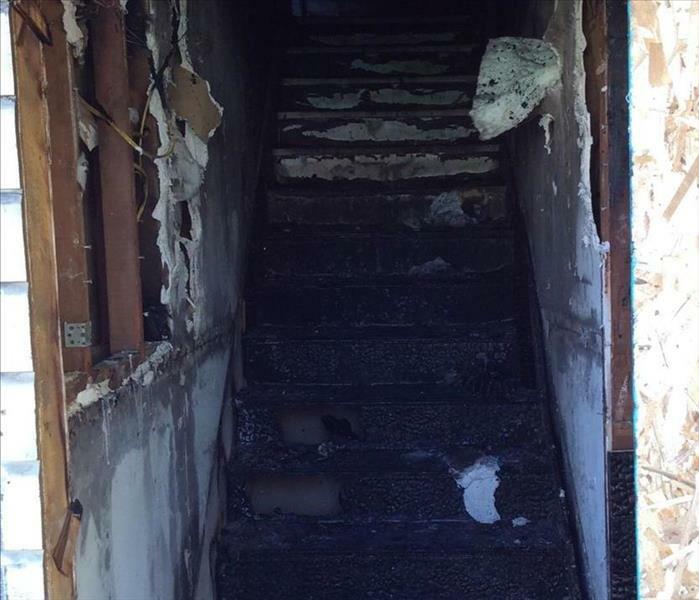 These crispy steps were the result of a fire in this apartment building. A harrowing sight, but one you can take steps to avoid by checking out our Fire Prevention Blog! This dry rot and mold combination made for a musty corner of this Reno home. Luckily, the owners called SERVPRO to handle it. Keep up with us on Twitter and like us on our Facebook! 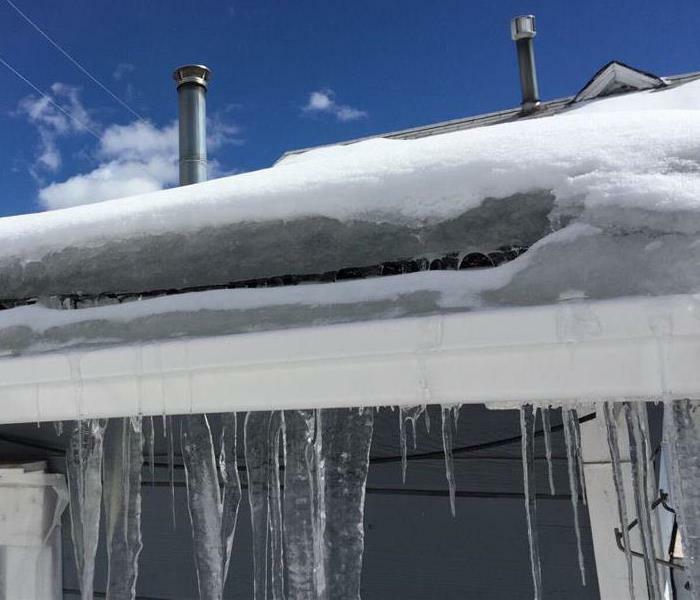 Leaving these pretty icicles on your roof with that soft layer of snow might not always be the best plan. Moisture might seep through into the wood and attic, and you might be growing more than mistletoe come December! Mold isn't always growing where you can see it! This was taken inside the frame of a house in Reno, NV. This window looks pretty in the sunlight, but it's letting in a not-so-pretty draft! 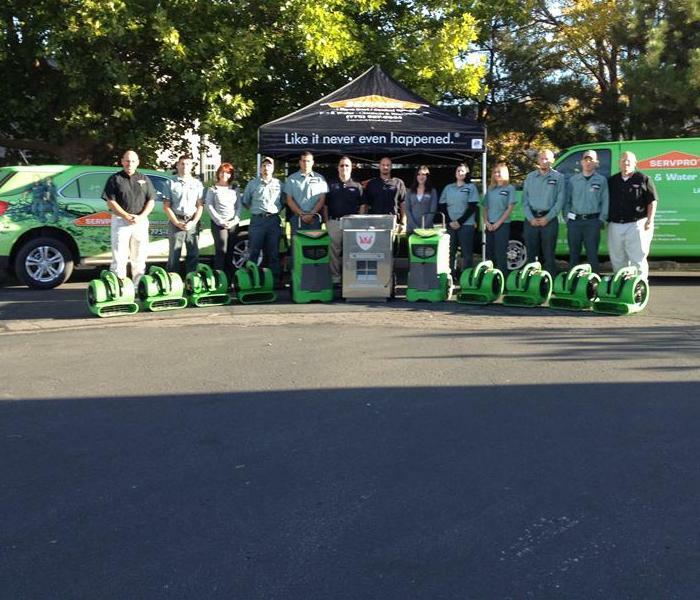 Be it storm damage, looters, or an accident, SERVPRO is "Faster to any size disaster". It happens. Kids are messy, and not every little spill gets cleaned up in time. 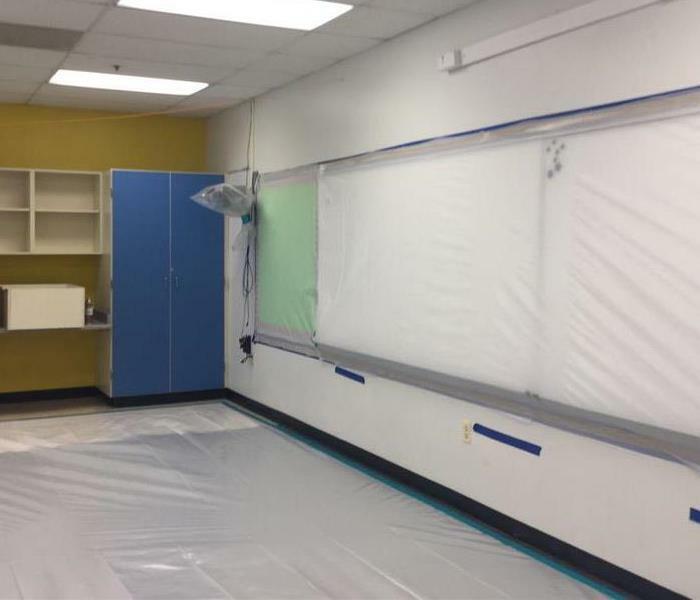 That's why SERVPRO responds to our local schools to make that kind of mess "Like it never even happened." Can a pool get water damage? Absolutely! Mold and spores are long time pals with standing bodies of water. Improper ventilation of an indoor pool can mean you end up with the fuzzy green stuff all over the place! This house was burnt due to a house fire. 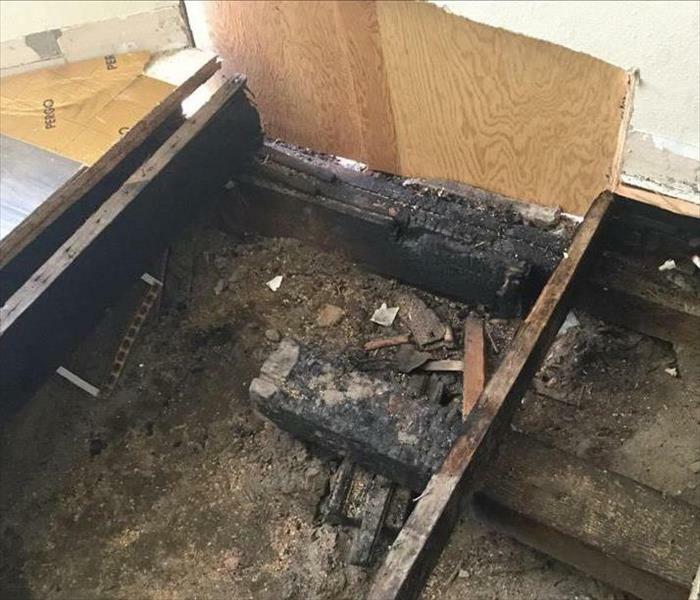 This burn is neat looking (the black sections of wall and wood), but when it's your home--your living space--being charred is the furthest thing from cool. The floods last year were very destructive to local businesses and the commute downtown. Many homeless needed to evacuate the area for their safety. 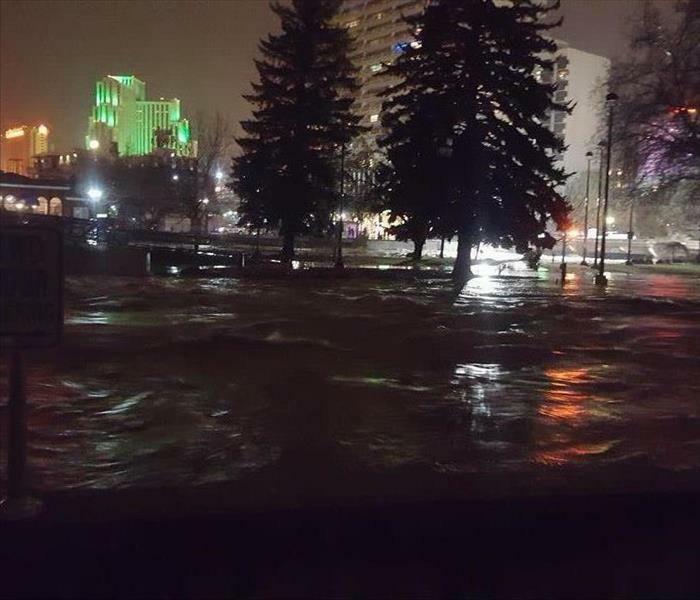 Here you can see the Truckee River overflowing with the lights of the Reno strip in the background. SERVPRO of Reno East / Central Sparks crews responded to flooding in the Houston area after Hurricane Harvey. Our crews worked in the Houston area to help victims of the flooding begin the process of returning to their homes by cleaning and drying their homes. Large Loss - Water Damage at Pacific Cheese Company. 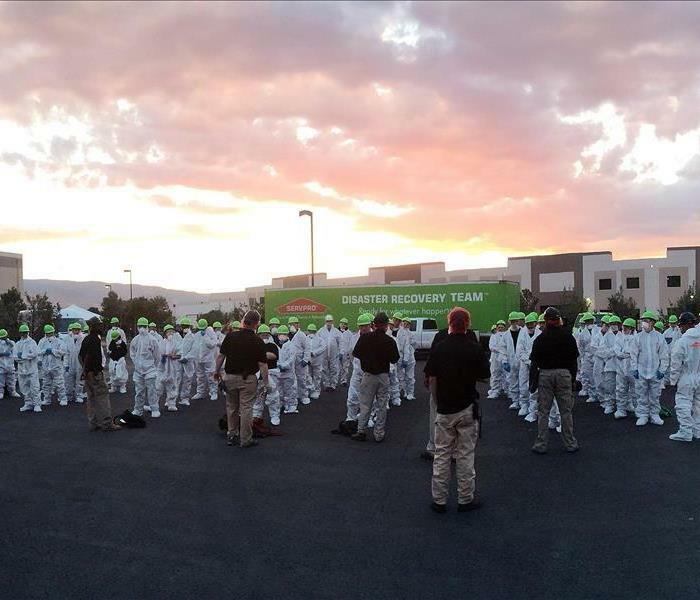 Remembering our efforts as we joined forces to clean up a huge water loss at Pacific Cheese Company in Reno, NV, a cheese supplier to food service operators, retailers, food manufacturers and restaurant chains around the globe. There is nothing like teamwork, dedication, and a goal to make it "Like it never even happened." This is a Large Loss water damage project that was remedied by SERVPRO of Reno East/Central Sparks. 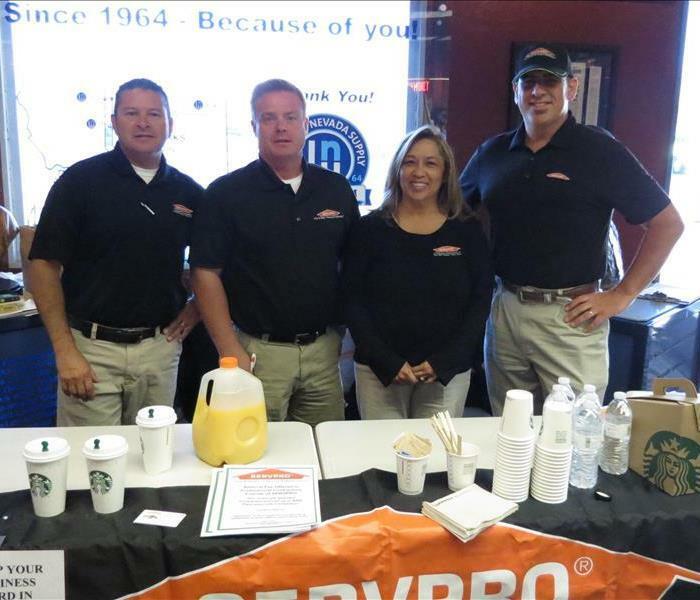 Remember, with a water, mold, or fire damage event: Think Green, THINK SERVPRO! This is a Large Loss water damage project remediated by SERVPRO of Reno East/Central Sparks. Remember with a water or fire damage event Think Green, THINK SERVPRO! We come prepared with the right equipment. This is a Large Loss water damage project remediated by SERVPRO of Reno East/Central Sparks. Remember with a water or fire damage event Think Green, THINK SERVPRO! We come prepared with the right equipment. 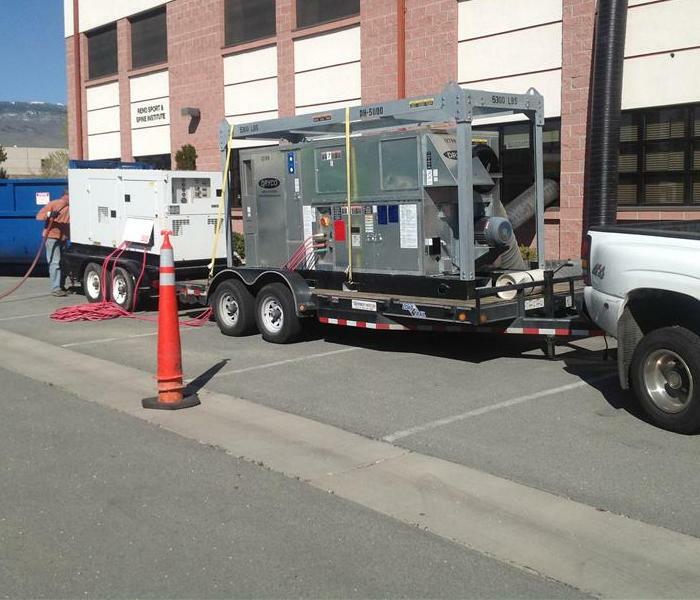 This is a Desiccant Dehumidifier with duct runs into the structure. This is a Large Loss water damage project remediated by SERVPRO of Reno East/Central Sparks. Remember with a water or fire damage event Think Green, THINK SERVPRO! We come prepared with the right equipment. From the Desiccant Dehumidifier the ductwork runs throughout the structure. This is a Large Loss water damage project remediated by SERVPRO of Reno East/Central Sparks. 2ft flood cuts have been completed, all demolition debris has been cleaned up and now we are final drying for the rebuild work to start. Remember with a water or fire damage event Think Green, THINK SERVPRO! Temperatures are lowering, meaning that you could be faced with a water or mold damage event at any moment. 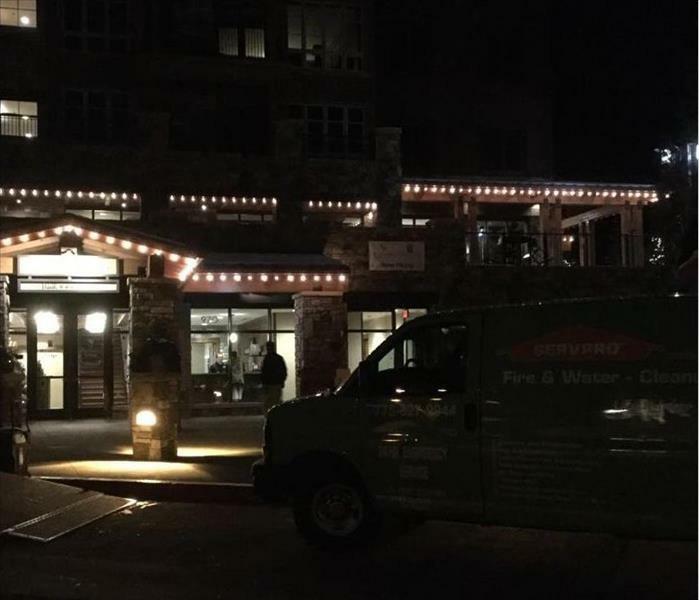 Fungal growth loves moisture, and SERVPRO of Reno East/Central Sparks is available to you 24-hours of every day of the year for whatever disaster happens. 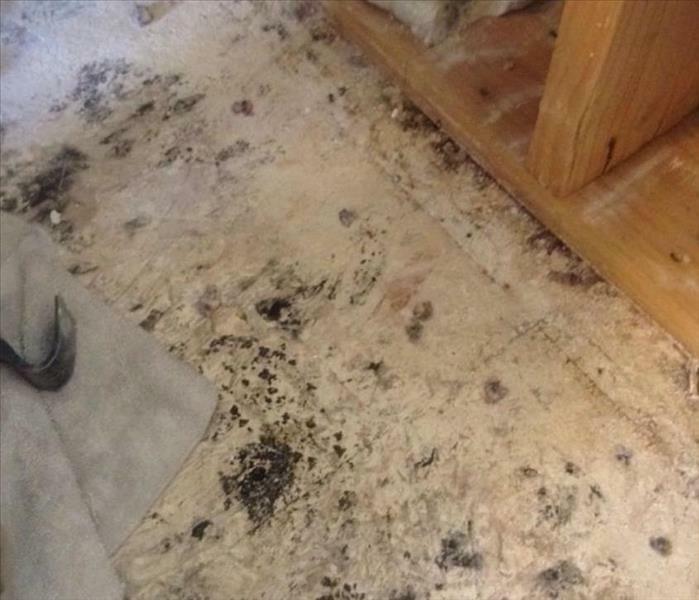 Only at SERVPRO can damage remediation be completed "Like it never even happened." 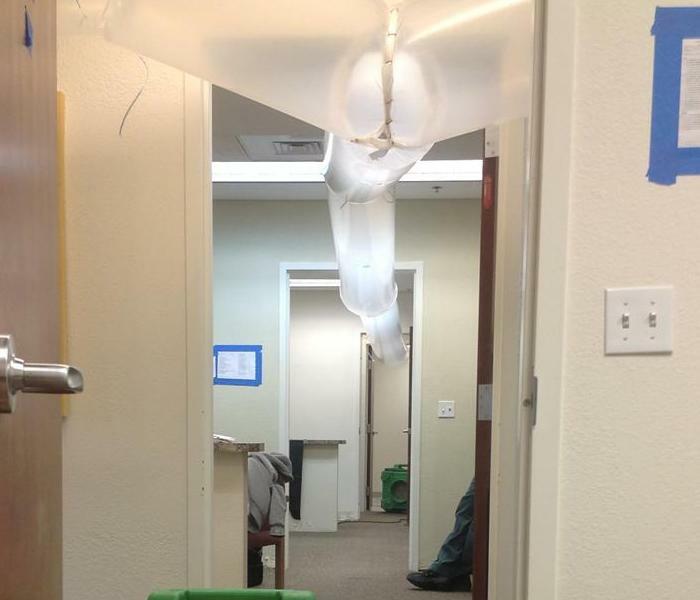 The Ormsby Medical Center in Carson City has suffered a large-loss water damage event. 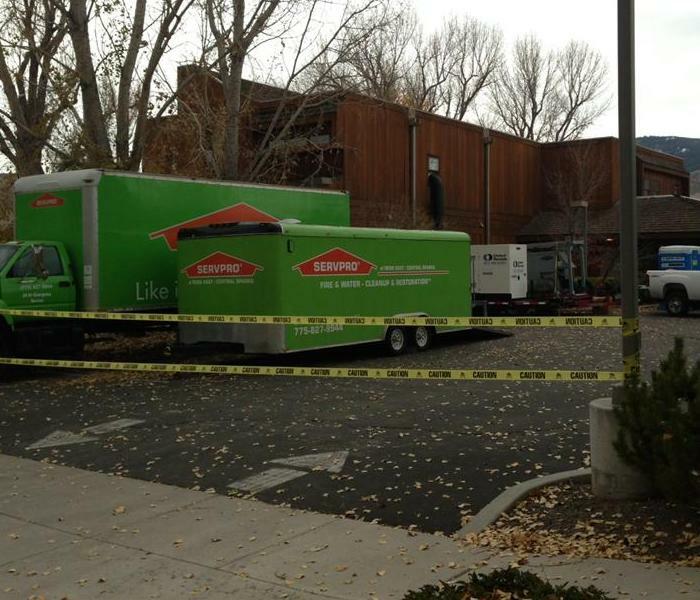 SERVPRO of Reno East/Central Sparks is handling the damage remediation work required. Only at SERVPRO can damage be completed Like it never even happened. SERVPRO Team reaching out to the community at Western Nevada Supply in Reno. Served over 200 breakfast burritos and connected with local professional contractors. A well-connected community is the first line of defense in handling any challenges.